How can we ﬁnd out how young people think? By asking them. This apparently simple answer conceals a great difﬁculty: you have to know how to ask. You have to know how to put yourself in the shoes of young people, to win their conﬁdence; to listen but also to give advice, offer opinions and take positions... Fernando Savater held a series of meetings with young students and answered the questions they put to him. 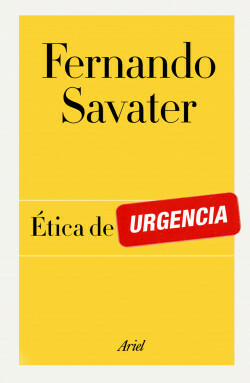 This book represents Fernando Savater’s newest contribution to his dialogue with young people about the moral issues that worry them the most. The new challenges for ethics (capitalism, Internet privacy, copyright issues) presented via a series of questions students have asked Fernando.